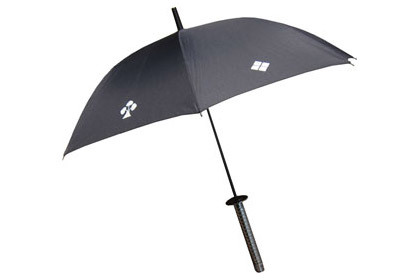 This has to be one of the coolest umbrellas ever. It features the handle of a katana, a samurai sword, and the fabric bears the family crests of some of Japan's most famous samurai warlords. 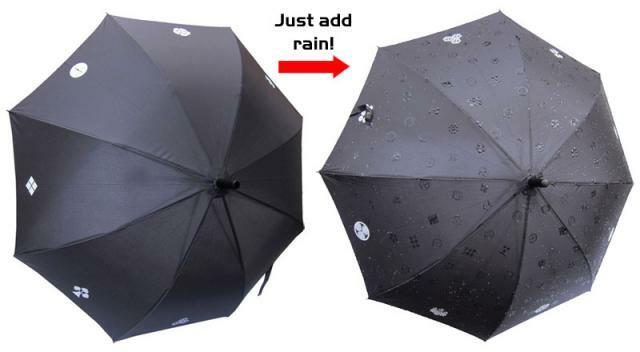 As if that wasn't cool enough, when this umbrella gets wet dozens more crests appear, 28 in all. 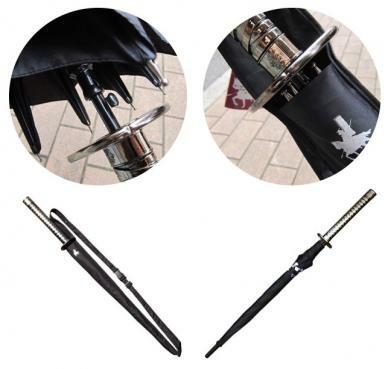 Add to that a handy pop-open mechanism and an even handier shoulder bag, and this umbrella will have you hoping for rain! Due to the size of this item, it can only be shipped by Express mail. For this reason, it does not qualify for free shipping.